Hello my dear bloggers. We have a fantastic challenge with a fantastic sponsor this week at Incy Wincy Challenge and this week it´s all Magical or Mystical. Our this week sponsor Delicious Doodles gave so magical and gorgeous images to work with and you can see the DT amazing creation at Incy Wincy Challenge blog. I used this Delicious Doodles gorgeous Fairy Fae digistamp and colored it with copic and promarkers. I used some glitter and glossy accent. Paper is Prima Marketing “Madeline”. I used some lace and charm and some pins that I made myself. 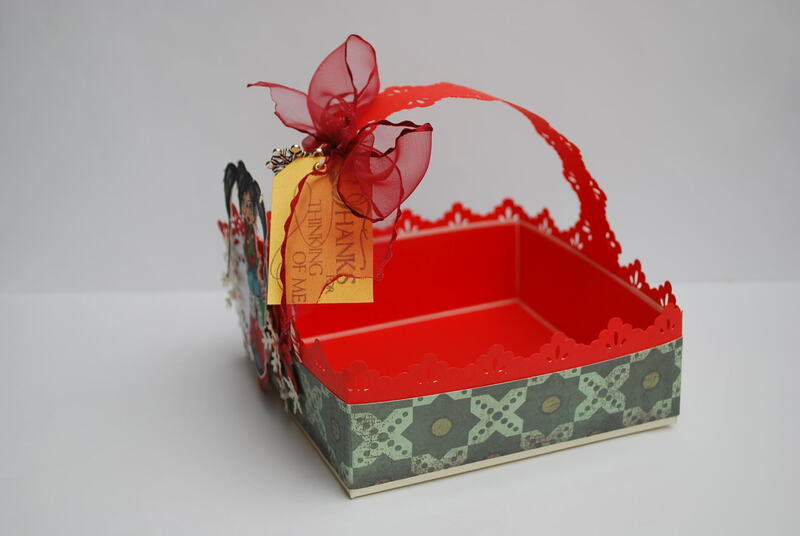 I used my Spellbinder dies and Cutlebug, Fiskars border punch and some flowers that I had. Hello. 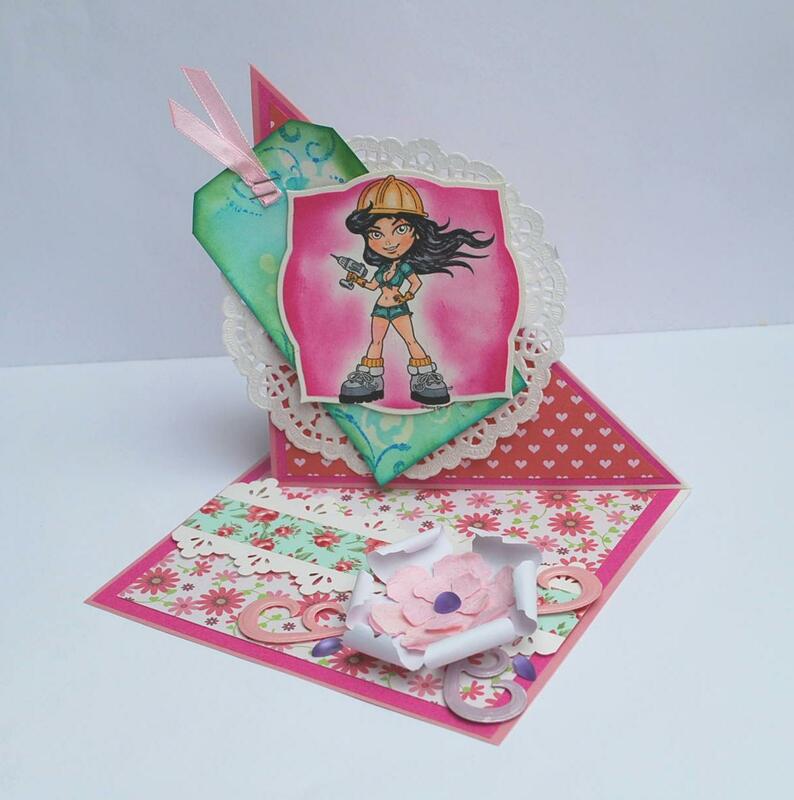 Today I´m showing you my card for the Incy Wincy Challenge- Hip to be square. As I don´t speek and write English so fluently I had difficulties to understand the theme. So I thought that it should be a square card. But as you have seen I like to do things little differently. 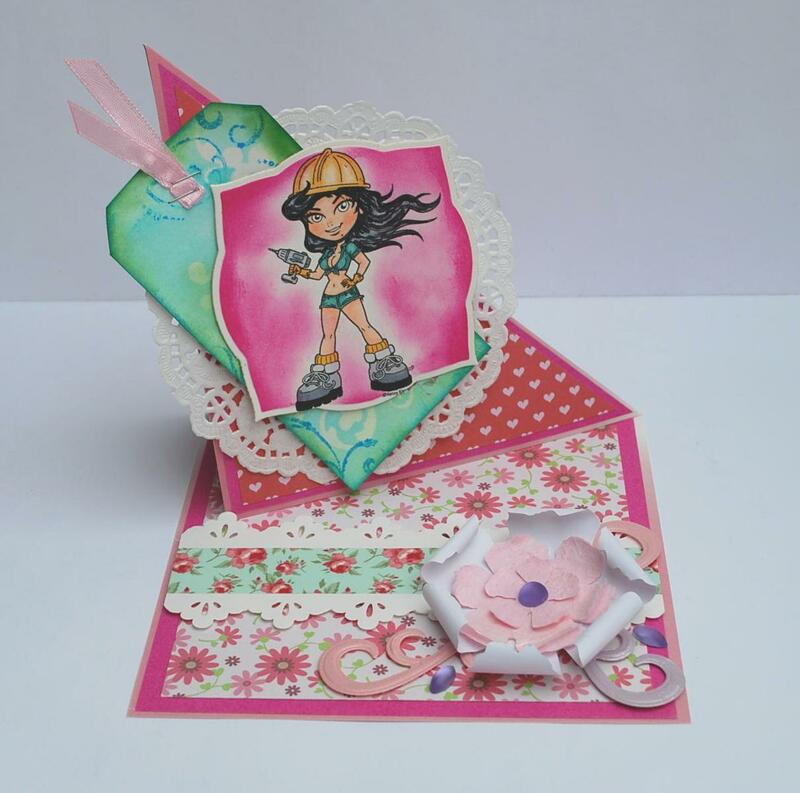 So I made a card that fits to the square but actually it isn´t 😛 So come and play along because it´s so fun and you can win from our fabulous sponsor StampFairy prize. So I used some wonderful and sweet papers and my new tape I got from Sweden from Panduro shop. 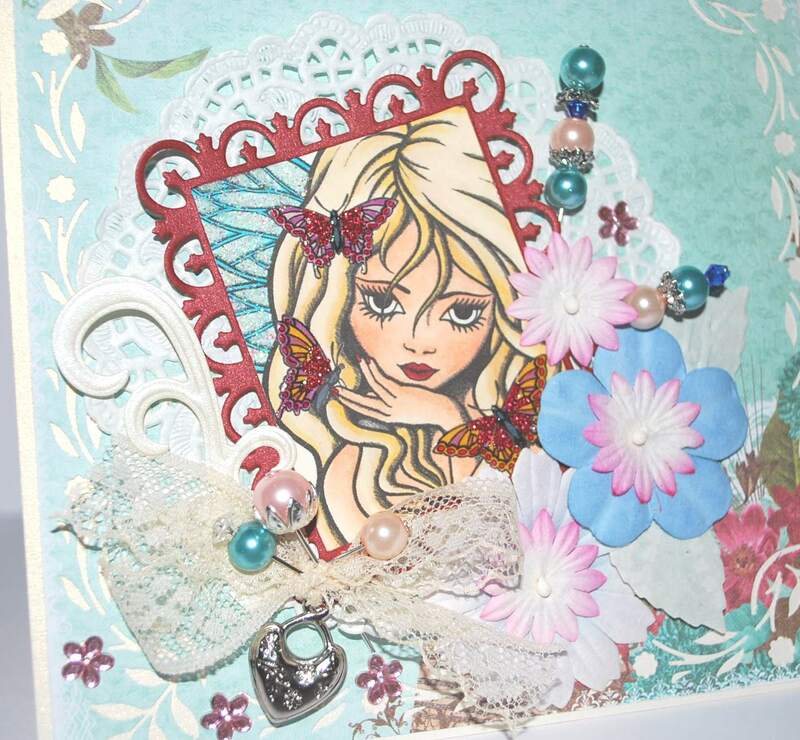 And Tim Holtz flower die, some other dies and a corner punch to make a lace ribbon. And ofcourse this year wonderful summer colors distress inks, ranger glimmer mist and my new Tim Holts mini mask. Image is from KennyK and it´s colored with copics. 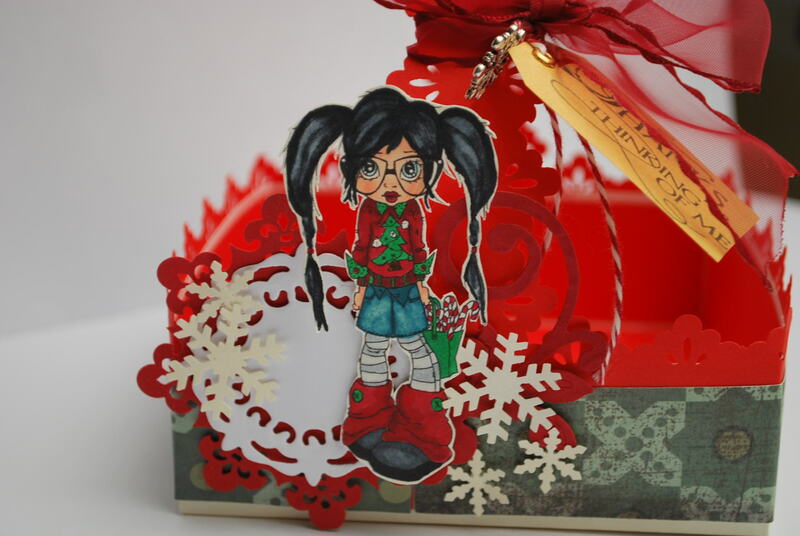 This week we are being sponsored by Saturated Canary with Krista´s fabulous creation. All the DT members got one image to work with and This week Incy Wincy Challenge is “Giving Thanks”. As we don´t have thanksgiving in Estonia I choosed an adorble [ugly] Christmas Sweater digi and made it little bit of different. I made a candy basket to say thank you. Simon Says Stamp Challenge– Get in Shape! Crazy 4 Challenges – C4C161 Anything but a card!